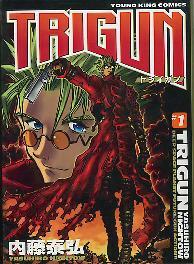 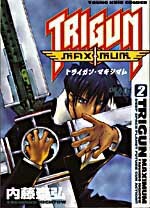 The Trigun Manga was started in 1995 and ended in 1997. 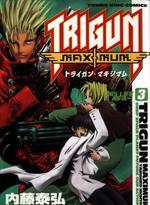 It Was serialized in Shonen Captain Magazine and compiled into manga form by the same publisher. 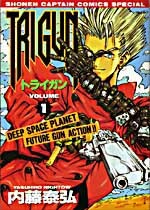 Before Trigun vol 3 was released there was a Trigun: Final Definitive Edition which was Trigun Vol 3 wrapped up in Manga Magazine fashion with a whole bunch of other stuff. 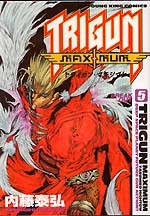 Vol 3 was then released and at that same time Nightow had started work in 1998 on Trigun Maximum which is serialized in Young King Ours and compiled by Young King Comics (same company). 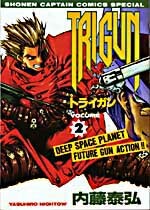 Young King Comics also reprinted the original Trigun storyline and made it into a two manga set, with only some editorial comics by Nightow added. 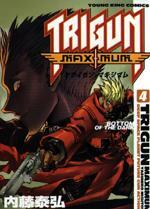 So far Trigun Maximum is up to Vol 6. 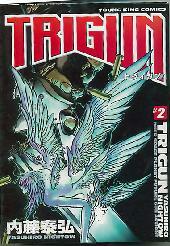 Also check out the Italian Editions. 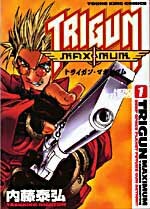 This compilation of the final parts of the trigun series isn't in manga form. 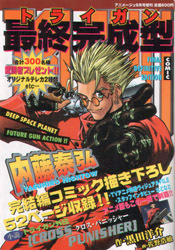 Instead it is like the magazine they serialize it, very large and colorful. 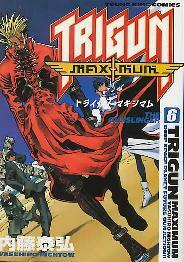 There were many extras in this magazine especially info about the TV series that was running for the first time when this was published. 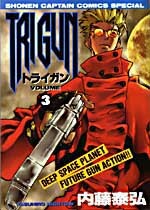 There are a couple of unique side stories in here, but it also lacks some pages and story arcs that were included in Volume 3 of Trigun.